If you’re shopping for a new small SUV, the 2019 Honda HR-V is probably on your consideration list. Made by a company with a longstanding reputation for reliability, equipped with one of the most practical interiors in its segment, and offering the promise of all-wheel drive and good fuel economy at a low price, the HR-V appears to check all of the right boxes for this type of a vehicle. Plus, it shares its platform with one of the highest rated small cars, Honda’s own Fit 5-door hatchback. 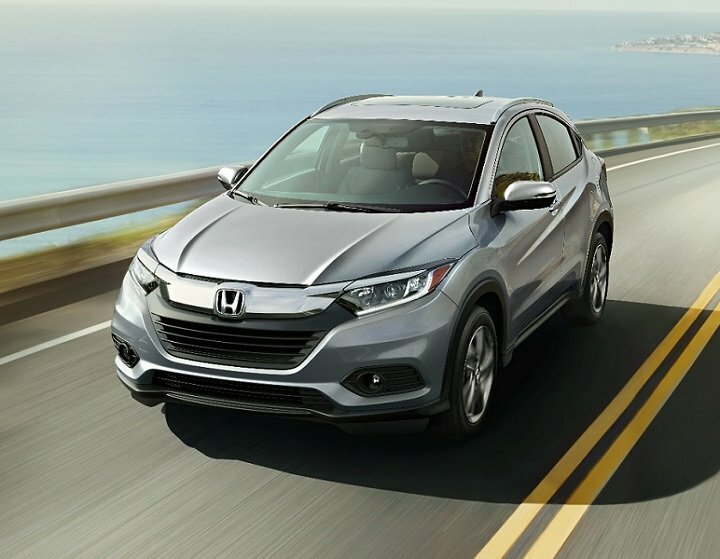 This year, Honda updates the HR-V by adding new Sport and Touring trim levels, new safety and infotainment systems, updated styling, and refinements to improve driving dynamics. Sport trim is all about style, with larger wheels and blacked out trim combined with a sportier interior appearance. Touring trim adds LED lighting, leather seats, an 8-way power driver’s seat, a navigation system, and more. For this review, J.D. Power evaluated a Honda HR-V Sport equipped with all-wheel drive. The price came to $24,615, including the $995 destination charge. Before we discuss the results of our evaluation of the Honda HR-V, it is helpful to understand who buys this small SUV, and what they like most and least about their HR-Vs. Most HR-V owners are women, at 64%. The median age of an HR-V owner is 55, and their median annual household income is $79,792. For the small SUV segment as a whole, 57% of owners are women, the median age of an owner is 53, and their median annual household income is $81,709. More HR-V owners identify as retired in comparison to the small SUV segment (34% vs. 22%). Fewer HR-V owners agree that they prefer to buy a vehicle from a domestic company (35% vs. 52%), and just 39% agree that friends and family think of them as someone who knows a great deal about autos (vs. 50%). Fuel efficiency is important to HR-V owners, with 77% agreeing that it is a first consideration when choosing a new vehicle (vs. 72% for the segment). Safety, however, appears to be less important. Just 71% agree that they’ll pay extra to make sure their vehicle has the latest safety features (vs. 77%). It is not as important for their vehicles to stand out from the crowd, with just 56% of HR-V owners agreeing that this is important (vs. 69%). This finding goes hand-in-hand with HR-V owners’ agreement that to them a vehicle is just a way of getting from place to place (55% vs. 47%). Surprisingly, 76% of Honda HR-V owners agree that they like a vehicle that offers responsive handling and powerful acceleration. Still, that’s less than the 85% of small SUV owners who agree with that sentiment. Owners report that their favorite things about the HR-V are (in descending order) the exterior styling, driving dynamics, visibility and safety, interior design, and seats. Owners indicate that their least favorite things about the HR-V are (in descending order) the infotainment system and storage and space in a tie, then the engine/transmission, climate controls, and fuel economy. In the sections that follow, our expert provides his own perceptions about how the Honda HR-V measures up in each of the 10 categories that comprise the 2018 APEAL Study. Cute is the word that best describes the Honda HR-V, in the same way that a pug is that way. The restyled front end is neither better nor worse than the original HR-V – just different. I’ve always liked the swoosh character line punched into the HR-V’s flanks, and the rear end is neat and tidy. The HR-V’s hidden rear door handles stymied my kids regardless of age, so it was somewhat entertaining watching them try to figure out how to get into the back seat for the first time. Sport trim comes with a handsome set of machined-surface 18-inch aluminum wheels and oh-so-popular blacked-out trim. As far as HR-Vs go, it looks good. Clean and modern, the HR-V interior emphasizes simplicity and clarity. An exception to this rule could be the flat, electrostatic display for the climate controls in all versions except LX and Sport. If memory serves, it’s not as easy to use as the knobs and buttons inside of my HR-V Sport test vehicle, which might be one reason the climate control system ranks low on the owners’ list of favorite things. 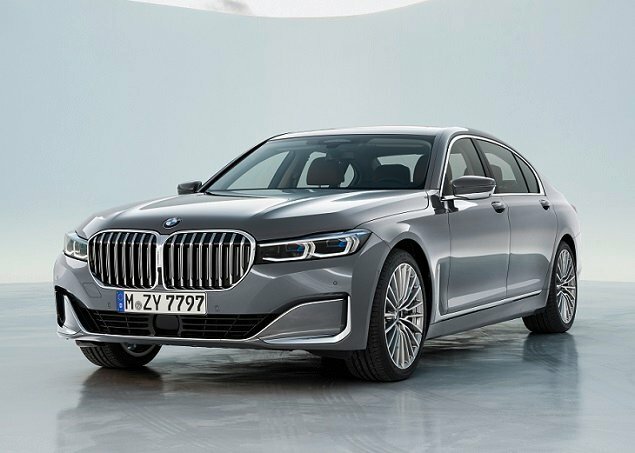 Materials are high in quality, and I particularly liked the soft-touch pad on the face of the dashboard and the dense cloth material on the door panels. Controls operate with precision and refinement, in most cases feeling more substantial than what you sometimes find in vehicles that cost twice the money. Given the Sport trim’s low price, it’s not surprising at all that the test car had a physical key rather than a key fob. Actually, I like keys. Generally speaking, they are cheaper to replace if you lose them. Gauges are a model of clarity and when you’re driving economically the white ring around the speedometer glows green to encourage a more efficient driving style. It’s unusual that a vehicle’s back seat is more comfortable than the front seats, but that’s true of the Honda HR-V Sport. People of shorter stature are likely to wonder why I might say such a thing. I’m an even six feet, and I wear 33-inch inseam pants. Even with the driver’s seat moved all of the way back in its track, I felt crammed behind the HR-V’s steering wheel, wishing for an inch or two more of rearward travel. There’s plenty of room to offer that, too. The HR-V’s back seat sits high off the floor, providing excellent thigh support, and legroom is generous for this class of vehicle. What’s missing, though, are rear air conditioning vents, which on a hot day would detract from comfort. Maybe I’d like the 8-way power driver’s seat in the HR-V Touring better than the 6-way manually adjustable seat in the HR-V Sport. As nice as set-it-and-forget-it automatic climate controls are, I don’t mind manual climate controls. Twist a knob to adjust temperature. Twist another knob to adjust fan speed. Push a button to change airflow pattern. No problem. Heated front seats are included for every HR-V with EX, EX-L, and Touring trim. Seasonably mild weather in Southern California meant I didn’t need them, and the air conditioning had no trouble keeping the cabin cool enough in the waning winter sunlight. All HR-Vs except for the base LX trim include a Display Audio system with a 7-inch touchscreen. It supplies Apple CarPlay and Android Auto via the lower of two USB ports located in the storage area under the center console’s “bridge.” As you move up the trim level ladder, the infotainment system adds features as well as a better set of speakers. My test car did not have satellite radio. As a result, thanks to forgetfulness with regard to my smartphone charging cord and multiple forays into Los Angeles, I rediscovered KCRW’s excellent alternative music programming. I quit listening to this station a decade ago when we moved to the far northwestern L.A. suburbs where traditional radio is mostly static. Sound quality, however, wasn’t great with the HR-V’s standard speaker setup, and a tuning knob sure would be nice to go along with the useful power and volume knob. Apple CarPlay effortlessly directed me to numerous unfamiliar downtown L.A. locations while providing traffic data and estimated time of arrival. One of the best things about the Honda HR-V is its cargo capacity and how the rear seats are configured. Called a “Magic Seat,” the HR-V’s back seat offers 60/40-split folding, and they collapse flat to provide a whopping 58.8 cu.-ft. of cargo space (57.6 cu.-ft. with AWD). With the seatbacks raised, cargo space measures 24.3 cu.-ft. (23.2 cu.-ft. with AWD), and you can stash things under the seat cushion at the same time. If you’re not carrying passengers, you can flip the bottom cushions up and haul something that’s almost four feet tall on the HR-V’s floor. Or, you can fold the right half of the back seat and recline the front seat almost flat to carry something eight feet in length with the rear hatch closed. If cargo space is both generous and reconfigurable, interior storage space is lacking. Honda uses a clever bridge for a center console, but it is narrow and forces use of the cup holders for more than just cups. The tray located beneath this bridge contains the USB ports, but is invisible to the driver while sitting in the vehicle. And while the glove box is a decent size, the center console storage bin is tiny. Mostly, I just tossed things on the front passenger’s seat and hoped they wouldn’t get lost. Forward visibility is excellent, and large side mirrors provide a good view to the sides. Just remember to position them for a wide view, because the HR-V doesn’t offer a blind spot monitoring system. It does, however, include a multi-angle reversing camera supplying three different vantage points to reference. To get the Honda Sensing suite of driving assistance and collision avoidance systems, you need to upgrade to HR-V EX, EX-L or Touring trim. Honda Sensing equips the SUV with adaptive cruise control, forward collision warning with automatic emergency braking, lane departure warning, and road departure mitigation systems. Those same versions of the HR-V also get Lane Watch, which uses a camera mounted to the right mirror to provide a live video feed of what’s in the SUV’s right blind spot. You’re on your own to reference the left blind spot. Based on the performance of the headlights on the 2019 HR-V Sport test vehicle, they’re still in need of improvement. As was true before, the 2019 HR-V employs a 1.8-liter 4-cylinder engine making 141 horsepower at 6,500 rpm and 127 lb.-ft. of torque at 4,300 rpm. Like other Honda 4-cylinder engines, it is fairly refined in operation, though with redline arriving at 6,700 rpm you will rarely access its maximum motive force. 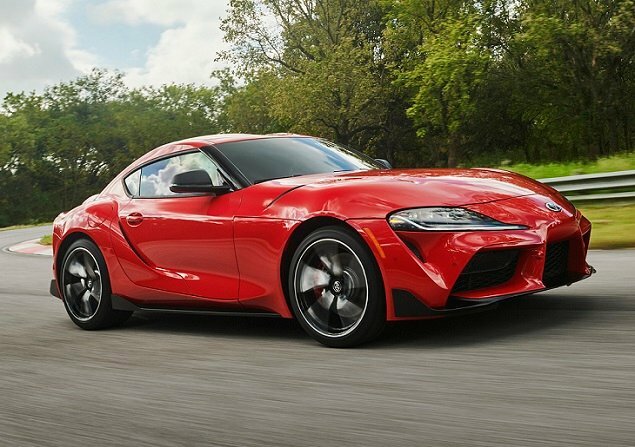 For 2019, the 6-speed manual gearbox is dropped in favor of a standard continuously variable transmission (CVT). Normal, Sport, and Econ driving modes are available, and the Sport has highly optimistic paddle shifters. Front-wheel drive is standard, with all-wheel drive an option. Honda says it has refined the CVT for quieter operation and a more natural feel. Maybe its been too long since I last drove an HR-V, but if this CVT is an improvement then the previous one must have been a regular source of irritation. Perhaps that’s why HR-V owners rank engine/transmission performance as one of their least favorite attributes of the vehicle. In my experience with a pre-production test vehicle, the CVT worked best in densely urban environments. In the suburbs, acceleration away from intersections was leisurely at best. On 2-lane country roads and on the freeway, passing power was nearly non-existent. Under normal driving conditions, the CVT sometimes displayed the “rubber band effect” common to this type of transmission, responding to situations with more power than might be called for. Also, when driving up mountain passes on the freeway with the HR-V in Normal driving mode, I had to steep deeply into the throttle in order to grab a lower ratio and maintain my speed. At times, as speed dropped despite pressing harder on the accelerator, I’d momentarily panic, thinking the engine had lost power and was quitting on me. Finally, the CVT would switch ratios and the SUV would accelerate again. Choosing Sport mode mostly resolved all of my complaints with the CVT, but because Sport mode holds revs higher you’ll end up consuming more fuel between stops at the gas station. When equipped like my test vehicle, with AWD and paddle shifters, the EPA says the 2019 HR-V will return 28 mpg in combined driving. On my test loop, I averaged 27.4 mpg, which is close enough to call the numbers accurate. Aside from the HR-V’s lack of power and quirky CVT, it provides an often choppy and bouncy ride quality. This SUV is also loud inside at highway speeds, but that’s true of most entry-level vehicles. Honda could fine-tune the steering and braking a bit, too. Mostly, the steering doesn’t call undue attention to itself, but it can feel numb and uncertain on center. Despite standard 4-wheel-disc brakes, I found pedal application to be tricky, the brakes grabbing a little too much after a momentary delay as though the HR-V had rear drums instead of discs. Handling is nimble, especially in city environments where the HR-V shines brightest. Maintain velocity on the freeway, and you can slice and dice through traffic due to this Honda’s small footprint and good outward visibility. On twisty roads, the MacPherson strut front and DeDion tube rear suspension (front-drive HR-Vs have a torsion beam rear), combined with 18-inch wheels and tires, make the HR-V Sport feel athletic. However, because this SUV carries so much of its weight over the front wheels, the tires tend to squeal early. Also, choosing AWD actually reduces the HR-V’s ground clearance measurement, shrinking it from 7.3 inches to 6.7 inches. That’s a full two inches less than the most capable vehicles in the small SUV segment, so keep this limitation in mind before slamming this Honda around on a dirt trail. When it comes to quality and utility, this small SUV is tough to beat. In fact, if you plan to carry lots of different people, pets, or things that come in lots of different sizes, it’s the best one you can buy. I’d even recommend it for people who drive for Lyft or Uber because the back seat is genuinely comfortable and the trunk easily swallows multiple full-size suitcases. 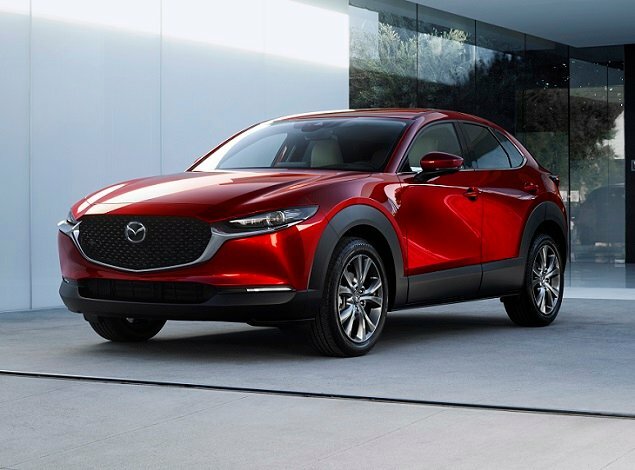 If, however, you’re looking for something enjoyable to drive, or with greater off-roading capability, or with more accessible safety technology at a lower price, or with more style and personality, you’ll need to shop elsewhere. American Honda Motor Co. supplied the vehicle used for this 2019 Honda HR-V review.